The great majority of Florida’s soldiers saw active service in the Confederate cause beyond the state’s northern border. Nearly one half of all Floridians who served beyond the border never returned to their home state, or returned maimed. They died of disease or of wounds. They died in prisoner of war camps or were killed outright in battle. Many were wounded more than once and returned home crippled for life. Proud regiments, counting one thousand or more men at the beginning of the war, were surrendered at war’s end with at most a few dozen men still present and ready for duty. There was not a major battle east of the Mississippi in which the soldiers of Florida were not engaged, each action adding the names of floridians to the casualty lists. Approximately half of Florida’s nationalized troops served with the Army of Northern Virginia and the other half with the Army of the Tennessee. Florida provided a higher percentage of its white, male citizens for military service than any state in the Confederacy. But Florida was not a populous state. There never was a Florida Division, but there was nearly always a Florida Brigade in each of the Confederacy’s two principal armies, east and west. During the first year of the war, most of Florida’s soldiers remained within the state. The Second Florida Regiment was sent to Virginia in the late summer of 1861. Other Florida regiments began heading north in the spring of 1862, a process that continued throughout the war. As additional regiments formed, equipped and trained, they too would be sent north. The 1st, 3rd, 4th, 6th, and 7th Regiments of Florida Infantry and the First Florida Cavalry, all went to serve with the Army of the Tennessee on the Confederacy’s central front. The 2nd, 5th, 8th, 9th, 10th and 11th Regiments of Florida Infantry all served with Robert E. Lee’s Army of Northern Virginia. The First Florida reached northern Mississippi in time to participate in the Battle of Shiloh. It was the bloodiest battle of the war to that time, and the event that convinced many individuals, North and South, that this war was going to be long and costly. Later that summer the 3rd Florida joined the 1st and the two regiments served under Edmund Kirby Smith in the Kentucky Campaign during the fall of 1862. Both regiments suffered terrible casualties at the Battle of Perryville in October and, after their return from Kentucky, they were consolidated into a single unit, the 1st-3rd Florida. Also present during the Kentucky Campaign were the newly arrived 6th Florida and the dismounted half of the 1st Florida Cavalry. During this same fall, the 4th Florida was serving with Nathan Bedford Forrest in the Nashville Campaign, and the 7th Florida had arrived and was with the main portion of the Army of the Tennessee under General Bragg. By early spring, all these Florida regiments had rejoined Bragg’s army. All were to participate in the Battle of Murphreesborough, or Stone’s River, on New Year’s Eve, 1862 and New Year’s Day, 1863. In May, the 1st, 3rd, and 4th Florida were detached to serve with General Joseph Johnston during his attempts to relieve the trapped Confederate garrison at Vicksburg, Mississippi. After their return to Bragg’s army, Florida’s Western soldiers participated in the great Confederate victory at Chicamauga, near Chattanooga. As units and individuals, Floridians won many citations for gallantry at Chickamauga and suffered extensive casualties. After this battle, all the Florida regiments in Bragg’s army were brigaded together. 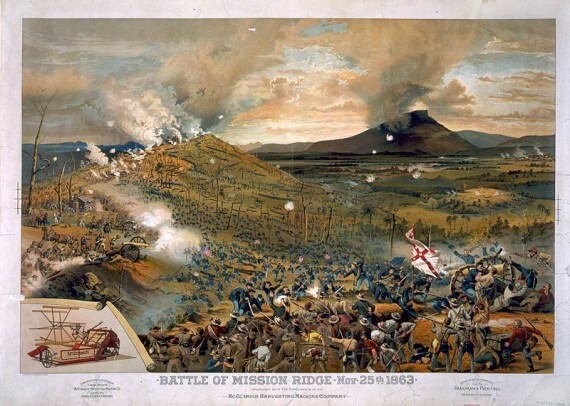 The Union forces in and around Chattanooga were heavily reinforced and, in late November, 1863, Bragg’s army was overwhelmed and tumbled out of their positions on Missionary Ridge. The regiments of the Florida Brigade were centrally involved as half their number were in the valley below the ridge and the other half on the ridge itself. All of the regiments suffered heavy casualties in the defeat. Two months later, the 4th Florida and the remnants of the 1st Florida Cavalry were combined into a single unit, the 1st-4th Consolidated Florida Regiment. All six Florida regiments took part in the North Georgia and Atlanta campaigns under General Johnston and the terrible winter campaign against Nashville under General John B. Hood. 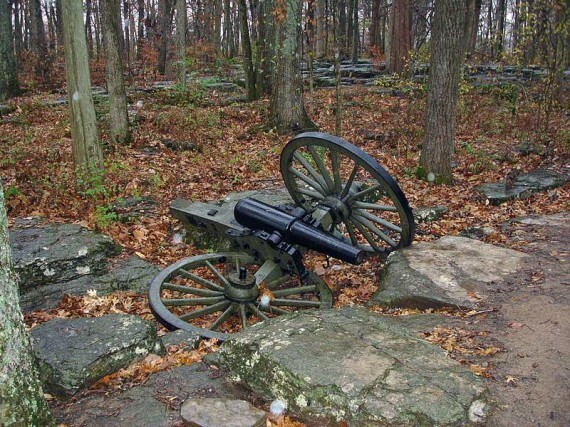 After the retreat from Nashville, the six small regiments were sent to North Carolina where they fought one more battle, the Battle of Bentonville, 19 March, 1865. After General Lee surrendered in Virginia, Johnston did the same with his small army in North Carolina, including the Western Army’s Florida Brigade. On that day, once large and powerful and always proud, the six combined regiments of the brigade numbered fewer than 200 men present and fit for duty. The 2nd Florida had been the first Florida regiment to reach Virginia, in the late summer of 1861. 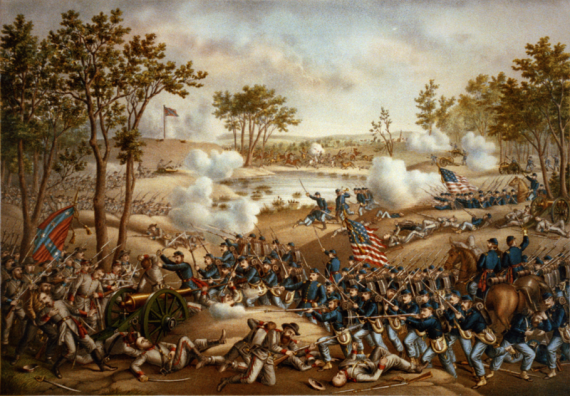 During the Peninsular Campaign of 1862, the 2nd Florida distinguished itself in all the major battles, starting with the defensive action at Williamsburg, and the offensive battles at Seven Pines, Gaines Mill, and Malvern Hill. Soon after the close of that campaign, the 5th and 8th Florida regiments joined the 2nd, forming a Florida Brigade within Anderson’s Division of Longstreets’s First Corps of the Army of Northern Virginia, by then identified with its new commander, Robert E. Lee. To list the battles in which this Florida Brigade fought is to list every battle fought by Lee’s army. 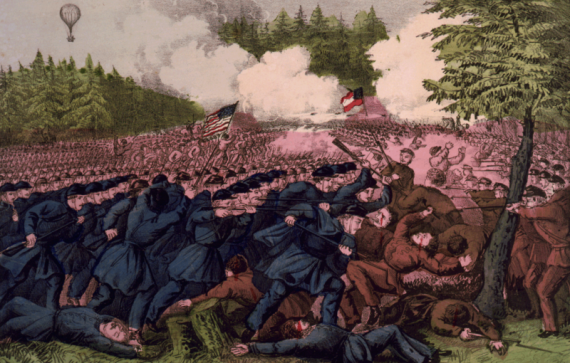 The 5th and 8th Regiments received their introduction to battle at Second Manassas and Sharpsburg or Antietam, during August adn September, 1862. 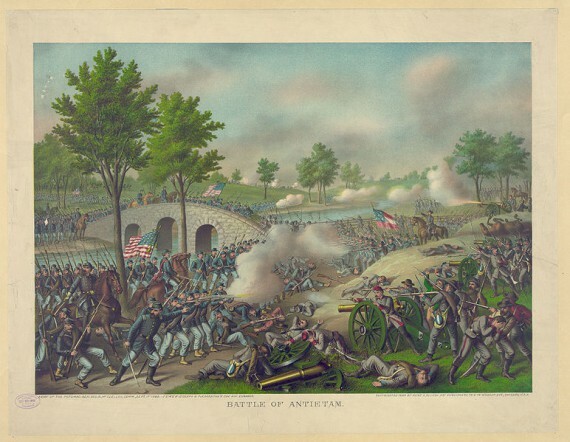 At Antietam, the Floridians were part of A. P. Hill’s Division that arrived from Harper’s Ferry just in time to counterattack a large Union force that had broken the right flank of the Confederate position. At Fredericksburg in December of that year, portions of the brigade, led by David Lang (a future Adjutant General of Florida), were brigaded from Barksdale’s Mississippians to defend the town against Union units attempting to bridge and cross the river. Meant to be just a delaying force, this Confederate brigade delayed the Federals an entire day, inflicting severe casualties on them, suffering substantial casualties themselves. The Florida, or Perry’s, Brigade, named after its commander, Florida’s own E. A. Perry, distinguished themselves at the Battle of Chancellorsville, in May of 1863. Two months later, the brigade, temporarily led by newly promoted Colonel David Lang, was attached to Picket’s Division and took part in the famous attack on the Union Center on the third day of the Battle of Gettysburg. Fragments of the Brigade actually reached and penetrated the Federal lines but were eventually driven out. The brigade suffered terrible casualties in the charge and withdrawal that followed. During the spring of 1864 the much reduced Florida Brigade, now led officially by David Lang, participated in the Wilderness and Spotsylvania Campaigns. 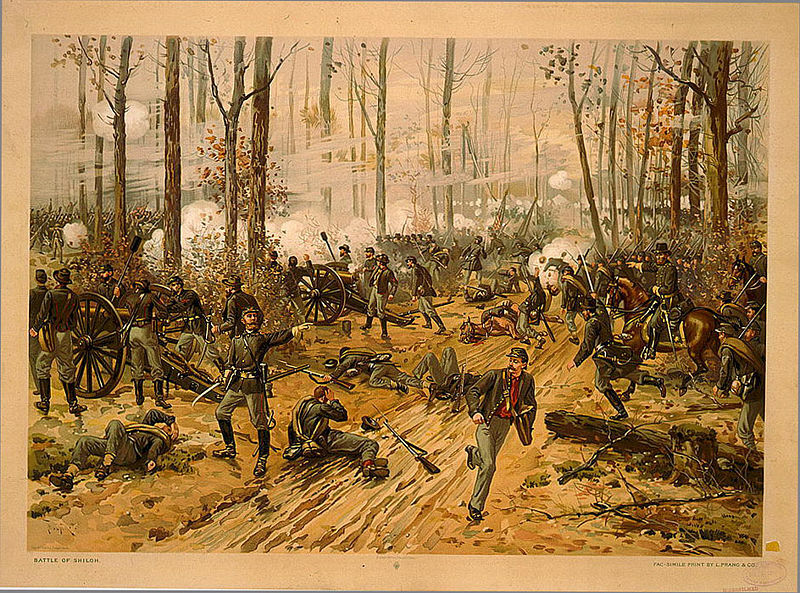 Just prior to the fight at Cold Harbor, Florida’s 9th, 10th, and 11th Regiments, recent victors at the Battle of Olustee in Florida, joined the Army of Northern Virginia. They were combined with the remnants of the 2nd, 5th and 8th Florida to form a new brigade to be known as Finegan’s Brigade, after General Joseph Finegan of Florida. Less than a week later, during the first week in June, 1864, a massive Union assault on the center and right of the Confederate positions at Cold Harbor, succeeded in breaking and penetrating the extreme right of the Confederate lines. General Finegan and his Florida Brigade, in reserve near the breakthrough, immediately launched a savage counterattack that totally defeated the leading Union units and led to a general withdrawal and the reestablishment of the Confederate position. After the Union Army moved to besiege Petersburg, the Florida Brigade was used to defend the outer flanks of the Confederate lines. They were involved in the fights at Ream’s Station, the Weldon Railroad, and Hatcher’s Run. In the spring of 1865, the Brigade retreated with the rest of Lee’s Army until trapped and forced to surrender at Appomattox Court House. The 2nd, 5th and 8th Forida Regiments surrendered 68, 53 and 32 men, respectively. The 9th, 10th and 11th, although in Virginia only since the previous spring, surrendered 124, 162, and 23 men, respectively. (The 11th had been cut off during the retreat and had already surrendered.) Following official parole, the survivors of the two Florida brigades went home. Florida’s price for participation in the “Lost Cause” had been high indeed.